Official sources in Delhi said the clashes were triggered last evening over the Facebook post about a holy site. KOLKATA: A Facebook meme on Prophet Mohammad snowballed into a major communal flare-up at Baduria in North 24 Parganas district of West Bengal where angry mobs torched a few police vehicles, vandalised shops and blocked roads leading to the border town on Tuesday. 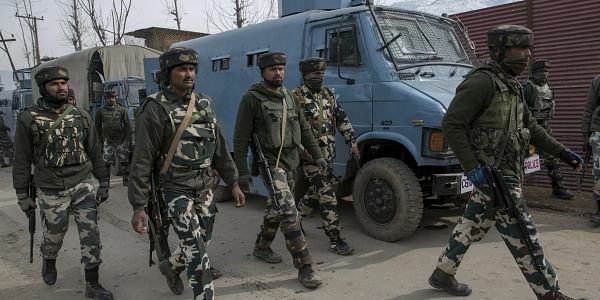 The central government has rushed 300 paramilitary personnel to the area to assist the local police in bringing the situation under control. Trouble started after Class X student Souvik Sarkar posted a derogatory meme on Prophet Mohammad on Monday morning. Though Sarkar was arrested by the police on Monday evening, angry mobs vandalised shops and demonstrated in front of Baduria police station. "The situation is very tense. Mobs have blockaded several roads leading to the town. However, Baduria police station has not been gheraoed. Three police vehicles have been torched," a source in Baduria police station told the New Indian Express. On the other hand, BJP general secretary Debasree Chowdhury was stopped by police on the way to Baduria on Tuesday, after which party workers led by Chowdhury held a demonstration at district headquarter Barasat demanding the arrest of the rioters. "Due to minority appeasement and vote bank politics of Trinamool Congress government, law and order at Baduria in North 24 Parganas has collapsed. Mobs are vandalising police stations, religious places and houses of common people," state BJP secretary Sayantan Basu said in a press release. BJP MP and minister of state for heavy industries and public enterprises Babul Supriyo tweeted that he spoke with Union home minister Rajnath Singh and gave him a detailed report on the issue. North 24 Parganas district SP Bhaskar Mukherjee was not available for comment.